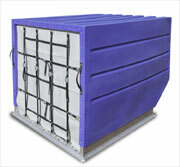 Durable, hybrid Air Cargo Containers built by a manufacturing leader. Innovative design, providing industry leading features, reduced maintenance, lighter tare weights contribute to the overall lowest total cost of ownership amongst comparable containers. 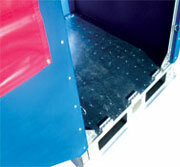 Stand out from your competitors with Granger's special custom color, single piece poly shells. 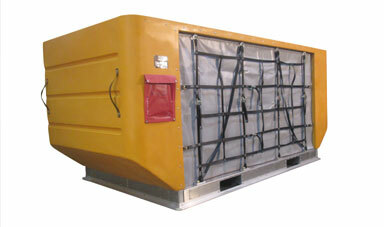 Learn more about Granger Aerospace's ULD Containers! Offering (6) of the most commonly used ULD Containers, such as the LD 2 DPE and DPN models, the LD 3 AKE and AKN models and LD 8 DQF and DQN models. Manufacturing a variety of custom OEM products and solution for a number of industry leaders in Aerospace, Aviation and Defense. Granger's innovative single piece polymer shell produces incredible strength and durability which leads to a reduction in maintenance with a significantly reduced number of fasteners. The reduced number of replacement parts aides in reduced inventories and reduced overheads, thus increasing profits. 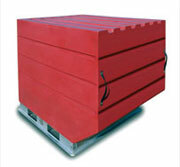 Fly your containers longer with Granger Aerospace ULDs! 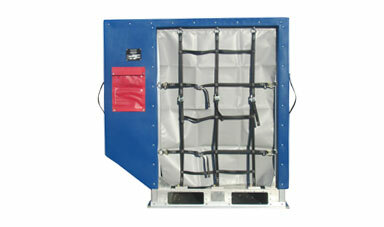 High strength aluminum base designed to handle baggage, heavy cargo and to withstand the rigorous daily operations of commercial airlines, cargo operations, small package sort facilities and much more! Strength of aluminum combined with futuristic polymer durability! In todays fast moving, ever changing markets, we all have to stand out from our competition. Take your marketing and branding to the next level with custom color ULD Containers from Granger Aerospace! Improve inventory tracking and tarmac efficiences by easily identifying your containers with custom color ULD Containers from Granger Aerospace! 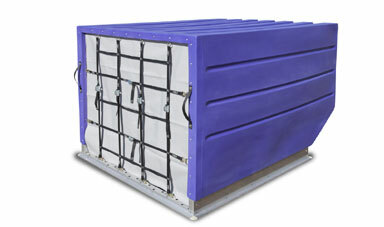 Granger Plastics Company has been involved in the production of certified, airworthy, Air Cargo Containers as well as ULD containers for over 20 years. Granger's high quality production and industry proficiency helped direct the decision for Granger to introduce, Granger Aerospace, A Division of Granger Industries focused on providing solutions for the Aerospace and Defense sectors. This decision enabled Granger Plastics to work towards obtaining it's extremely lauded TSO C90d accreditation from the FAA. Granger Industries Inc., is an internationally recognized manufacturing leader consisting of Granger Plastics Company, a rotational molding leader, Granger Aerospace, a leading provider of ULD Containers, Air Cargo Containers and custom OEM products for the Defense, Aerospace and Aviation industries, Granger ISS, America's leading Tornado Shelter and ForeverSafe Products, a line of theft deterrent Cemetery Vases and Burial Urns.